"The famous balance of nature is the most extraordinary of all cybernetic systems. Left to itself, it is always self-regulated." - Joseph Wood Krutch, Saturday Review, 1963. Thursday, Oct 13, 4:00 to 7:45 pm, Oak Bluffs Library. Bring fossils to show to others, or to ask about -- or just come and see what others bring. All ages event, and students especially welcome. For info on participants, click poster above. Saturday, Oct 15, 10:00 to 11:30 am, Felix Neck Wildlife Sanctuary. Turn coffee grounds, tea bags, fruit and vegetable scraps, egg shells, yard waste and even paper towels into black gold that will transform your soil into rich, fertile earth. $5, registration required: Call (508) 627-4850 or see website. Saturday, Oct 15 and 29, from 9:30 am to 4:00 pm at the FARM Institute. Join ACE MV & Sidney Morris for a two-session experience exploring the science, art, technology and sustainability of finishing and operating a food and heat producing passive solar greenhouse. $135. Pre-register online or by mail. Saturday, Oct 15, 11:00 am to 3:00 pm, Morning Glory Farm, Edgartown. Hay rides, games, face painting, hay maze, food and more. For more information, see website. Interested in State Wind Legislation? Thursday, Oct 20, 10:00 am to 4:00 pm, Barnstable. Eight proposed bills relating to regulation and siting of land-based and offshore wind projects will be discussed, including one from local rep Tim Madden. At the Barnstable High School, Knight Auditorium (directions). This week we take two recipes from Virginia Jones' new cook book Fresh from the Vineyard. Proceeds from sales of the book (available at many locations, see VCS website) benefit both VCS and the Island Grown Initiative. 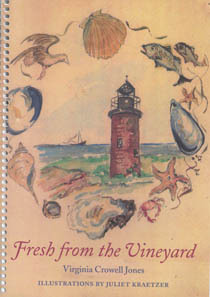 Fresh from the Vineyard features recipes that take advantage of our bounty of local produce, meats, and seafood. Written in Ginny's distinct style, the recipes are flexible, including all manner of general advice and tips. This week, rather than distilling them into our usual "Ingredients" and "Preparation" sections, we're going to just take a couple directly from the book, so you can get the real flavor of it! 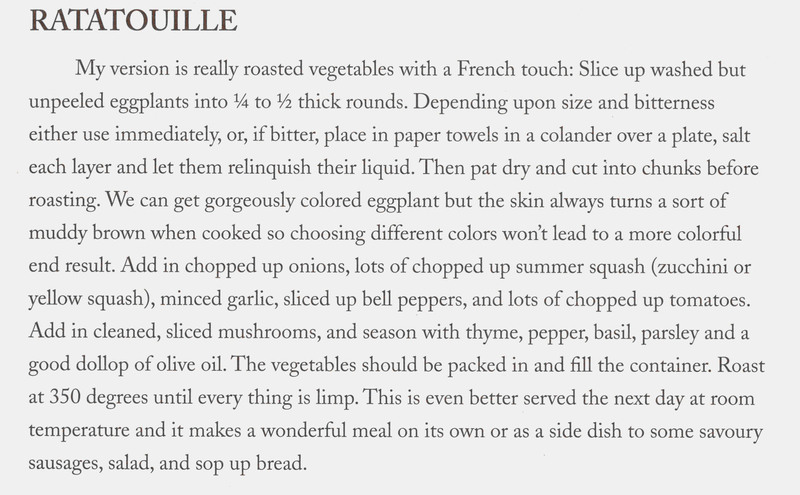 For those whose summer vegetables are still hanging in there and cranking out one last batch, this ratatouille recipe can help with the late season question of what to do with all those eggplants and squash. 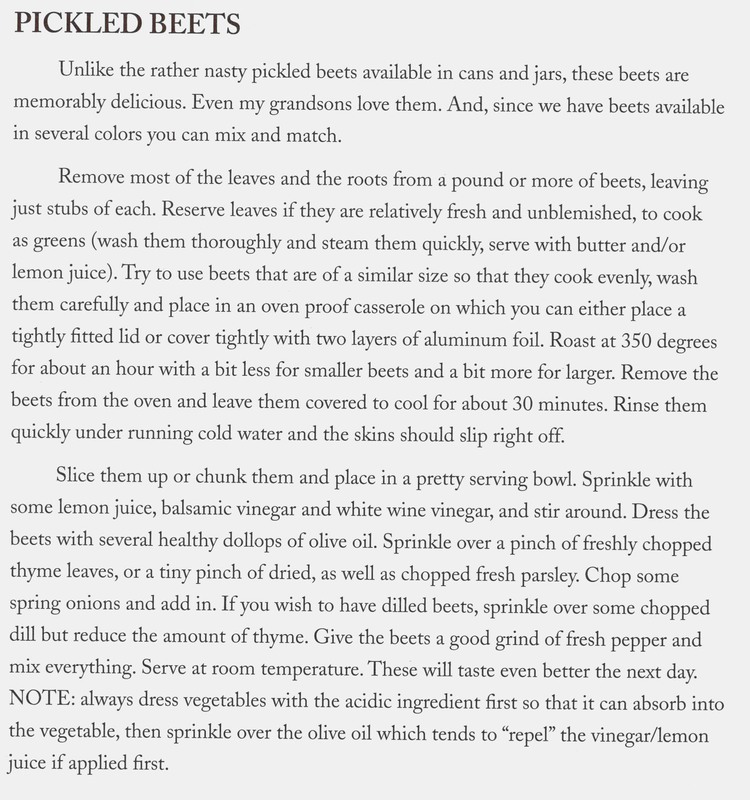 For the less fortunate (such as myself), whose summer plants are going out with a whimper instead of a bang, maybe her recipe for pickled beets is more helpful! Unlike efforts to reduce emissions or develop cleaner energy sources, geoengineering – or ‘climate remediation’ as some proponents prefer – has been met with considerable resistance from the scientific community. There are well-founded concerns about the unintended and unpredictable consequences of interfering with the planet’s natural processes (more than we already are, that is). In addition, to some extent, climatologists and other interested scientists may have resisted talking about geoengineering because it would lead to a rush among many to embrace potential, but far-off quick fixes, rather than accepting the more difficult, but realistic task of finding less carbon-intensive energy. Both of these objections remain valid, but the argument being presented now is that it may be too late to keep the genie in the bottle. Whether prompted by natural disaster or the expectation of profits, it may be impossible to prevent other governments, or even private industry, from taking unilateral action on extreme measures of climate mitigation. If that is the case, then it seems wise that all governments should be involved in the discussion, and that scientists should pursue research and speak openly about the possibilities and pitfalls of geoengineering. Political Interference in Science: Why not Laugh Instead of Cry? The results are in for the Union of Concerned Scientists' annual cartoon contest, with the twelve top vote-getters featured in their calendar (available for $10 at their website). As editorial cartoons focusing on the intersection of politics and science, it appears that humor was not always the top priority. That said, some of them (especially those with the Far Side-inspired graphical style shown above) are a good bit funnier than most political cartoons.